Bring light to Your outdoor decking areas perfect for lighting your porch, paths & driveway's, will also work superbly as a table light, especially for summer gatherings outside with friends and family. 6 LED bulbs, white or warm white, and the wide glow it emits allows excellent light dispersal. 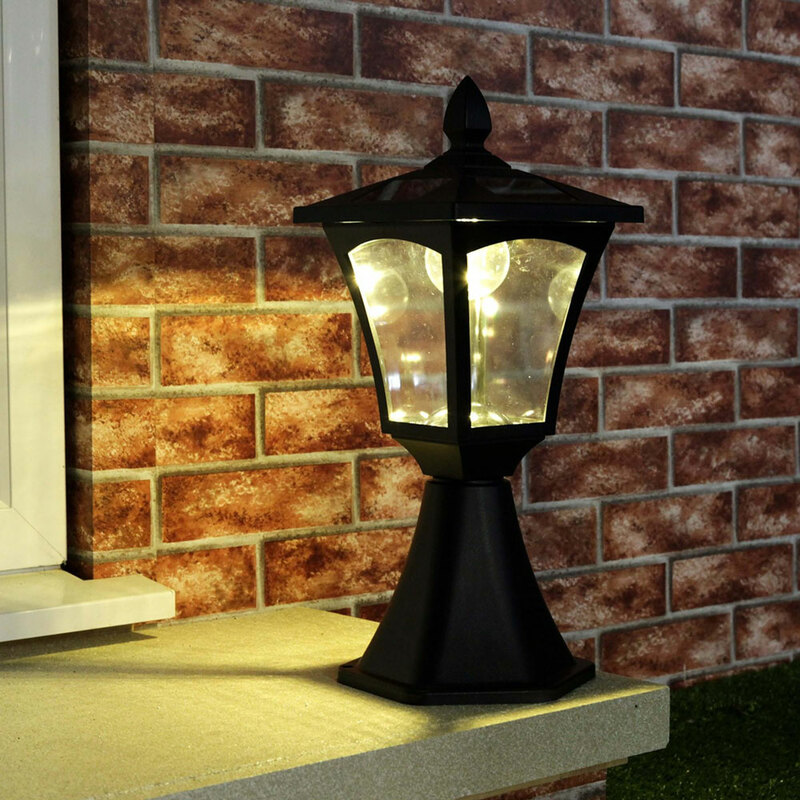 It also has fantastic durability in all weather conditions, our garden pillar lights are manufactured to a high standard from weather resistant material. Our Garden Pillar Lights offer a dual brightness settings; the high brightness setting is better for the summer months, when fewer hours of darkness allow the light to operate at full brightness without using the battery's charge. The low brightness setting is better suited to the winter months, when more hours of darkness mean your light will need to operate for longer; the low setting sets the LED's to emit a reduced brightness, thus conserving the battery's charge as it works throughout the longer winter nights. The Post Light operates on a static ON setting, which intelligently switches itself on as daylight fades and there is also an Off switch, which you will use to fully charge the battery. These superb Outdoor Pillar Lights can be assembled in minutes, and has a simple mounting apparatus included in with the light. Our Solar Pillar Lights 6 LEDs can be assembled in minutes, and has the mounting apparatus included in with the light. In the morning the Solar Pillar Lights turn off automatically and charge up again ready for the night ahead. Our solar post lights are fully automatic so you don't need to turn them on and off each night.